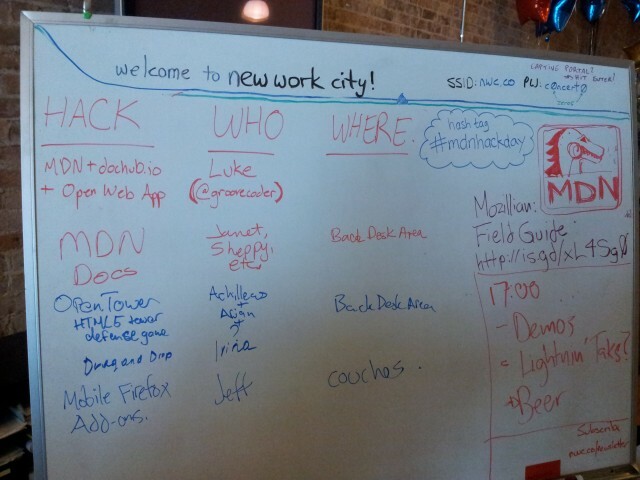 So what’s an MDN Hack Day, you ask? 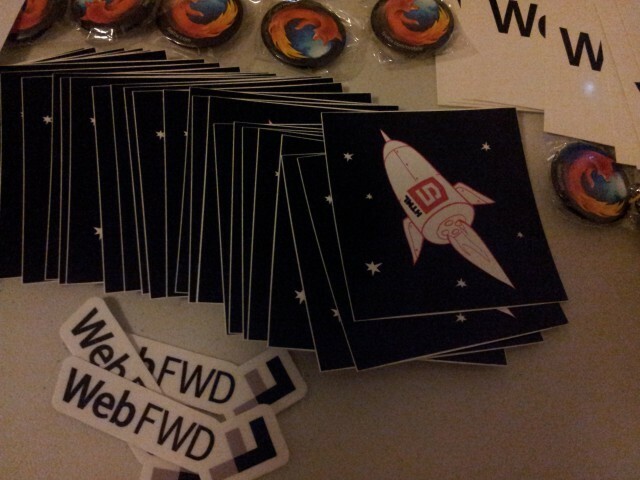 The intention is to host a day of talks, hacks and demos that first introduces the participants to Mozilla and our various open web projects, then invite attendees to shift into participant mode and start hacking. Another way I like to think of it is that we are enshrining the ‘hallway track’ from your favourite tech conference into its own space, giving people the chance to hang out, hack and exchange ideas without feeling guilty that they should be in a room watching a talk. We wanted to try this out, so last week(end) an epic number of Mozillians from the Developer Engagement and MDN Webdev teams converged on New York for an epic 2 days of meetings, strategy and demos in Brooklyn. 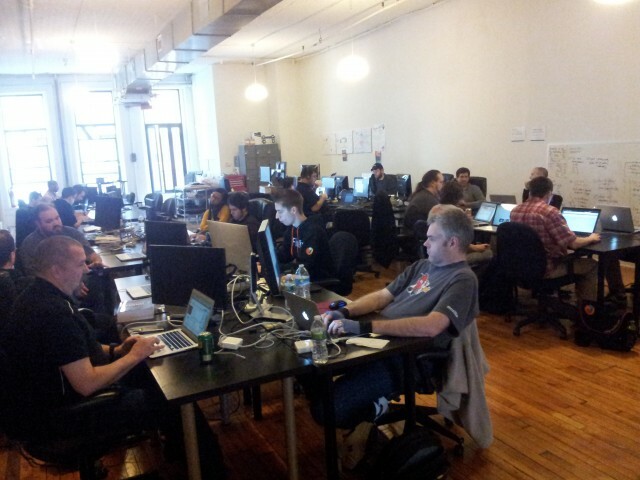 On the third day we headed into Manhattan to stage the first-ever MDN Hack Day hosted at the excellent New Work City co-working space. We’ve got a rough template for these things, and I was pleased that everything went according to plan. We arrived early at the fabulous New Work City space and helped nwc member Peter Chislett get things organized with snacks, coffee & seating. At this point the morning’s main entertainment became watching Christian Heillmann battle with his Macbook trying to get it to boot ( I immortalized this on Mozilla Memes ). 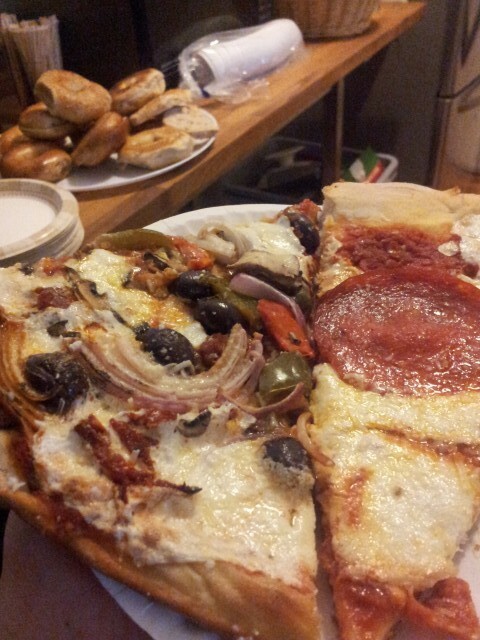 People trickled in, ate some tasty bagels, talked tech and took seats. Luckily, Christian managed to get his laptop to boot as well! I was pretty floored by the demos we saw and the amount of work people were able to get done in a few hours. 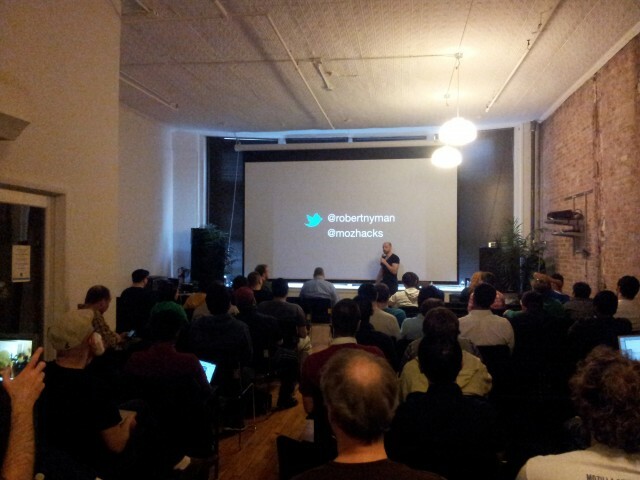 I want to thank everyone who came out and took the time to do some web hacking on such a beautiful warm Saturday in NYC. I’d like to particularly thanks Peter Chislett and New Work City for providing a great space just steps away from the crowds of lower Broadway. I know I can speak for everyone on the team when I say that we’re very excited by what we saw going in NYC, and we can’t wait to go back! We’re not stopping here, in fact the next MDN hack Day will be in Buenos Aires, Argentina on April 20th, partnering with Mozilla Hispano, the Buenos Aires Hacks/Hackers group & Blue Via. Look for more dates coming up! 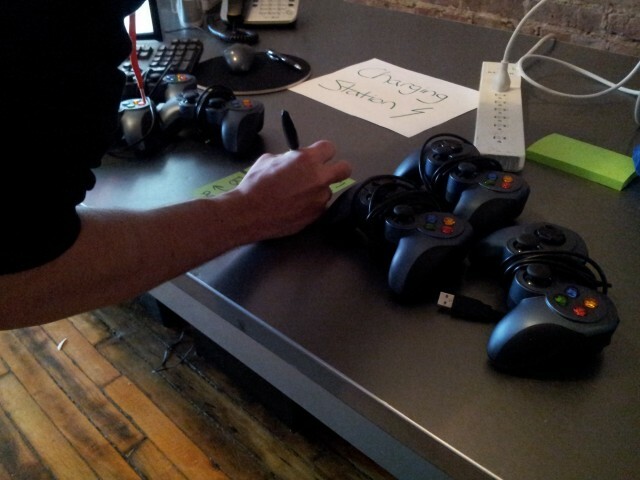 Rob Hawkes brought by some gamepads for testing the Gamepad API with. 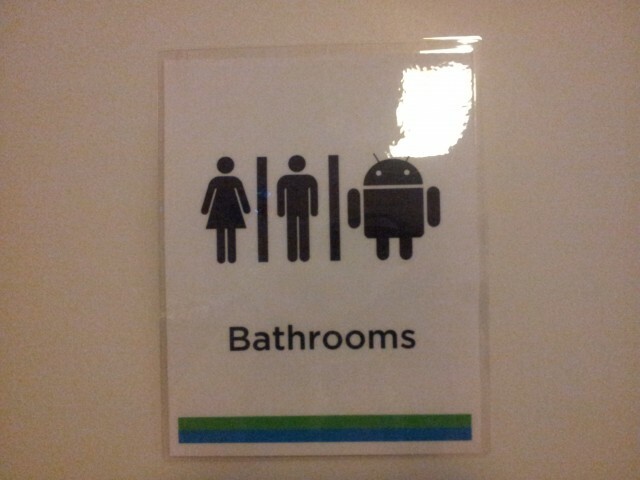 The bathrooms at NWC are not only unisex, they’re also Android-inclusive.